substance abuse eg drugs or alcohol and the impact of these. When we are faced with difficulty, we often try to cope as an individual at first and can overlook the effect on the broader family unit of what is being dealt with. Also we can fail to understanding if other family members’ reactions and coping mechanisms are not in line with our own and misjudgements and misunderstandings can sometimes arise. A family therapist can facilitate listening to each other’s opinions and experiences with a more open mind and a more open heart to achieve greater understanding and compassion for each other. Family therapy is not about apportioning blame but is about trying to gain greater understanding of each other and finding a positive way forward which can help and support these important connections in our lives. improved communication between family members. greater tolerance, understanding and compassion for each other. better problem solving between family members. greater cohesion within the family unit. During family therapy, the therapist will give everyone time to speak and the duration of the sessions can vary and can be agreed between the therapist and the family. The frequency of sessions can can also be discussed and agreed. 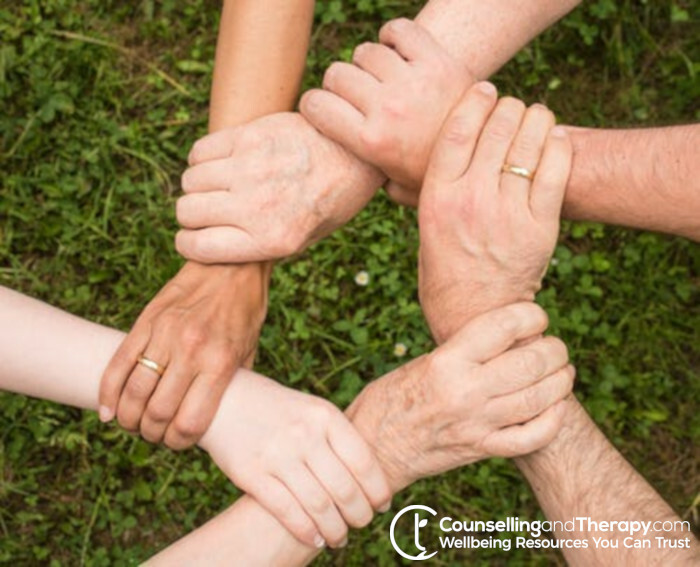 Family therapists do not work exclusively with an entire family – they may work with children and adults individually or in smaller groups or with couples depending on the needs and circumstances of the family unit.